06/13 (Crystal) Added an entry to emphasis that Cedric rox. 06/13 (Cedric) Emoted speech is now only heard by those who should hear it. It’s a lame fix, but the only way. 07/02 (Cedric) Fixed several crash-worthy bugs with large scale battles. Should be good to go now. I like the goal Advent is pressing toward, and I think it will be one that will likely define a different kind of MUD than most. I only just stumbled on your MUD, and had to let you know that I think that it’s wonderful. The entire website and the game itself feels very mature and well thought out, and despite all the hard work still going into it, it has been a very enjoyable experience. I have been playing muds on and off for many years, but I have always run into several flaws, primarily lack of creativity and serious rp, as well as stagnation and unfortunately a great deal of elitism. Advent appears to be the antithesis to this sort of diseased MUD. By the way, good MUD. ? If I won the lottery I would honestly spend the money on paying a group like y’all to make a MUD for me. ? I honestly think, this is one of the best games I’ve played in a good, long time. I’m falling in love with the concept. I’ve been mudding for 11 years and this one is really going to tickle my fancy, I think. Considering this thing is still in some kind of testing phase you guys have really begun to build an awesome game with some pretty unique stuff. BTW I LOVE the concept on the skills and such for this mud. It makes it much more RP friendly so you can make your character whatever you would like them to be. I can definitely say that your MUD is one of the best developed online. We pledge to create and support an inclusive atmosphere for all players on our MUD. This atmosphere of inclusion will encompass all legal and consensual forms of identity and interest. 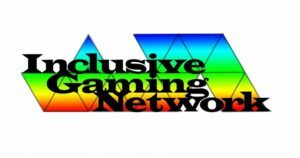 Our adherence to this pledge is voluntary, and we recognize that certification by the Inclusive Gaming Network requires our commitment and adherence to this pledge. We also commit to a safe, open-minded community that welcomes all to join and support a positive environment for players. Please read our rules.